Most people would be surprised to see the actual London Bridge. It’s not very spectacular. 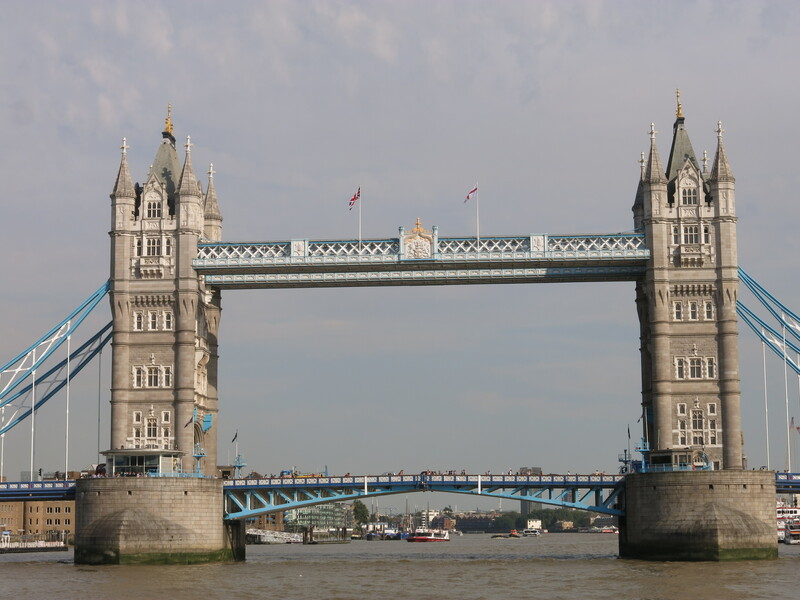 What is spectacular is the Tower Bridge that I always thought was the London Bridge. 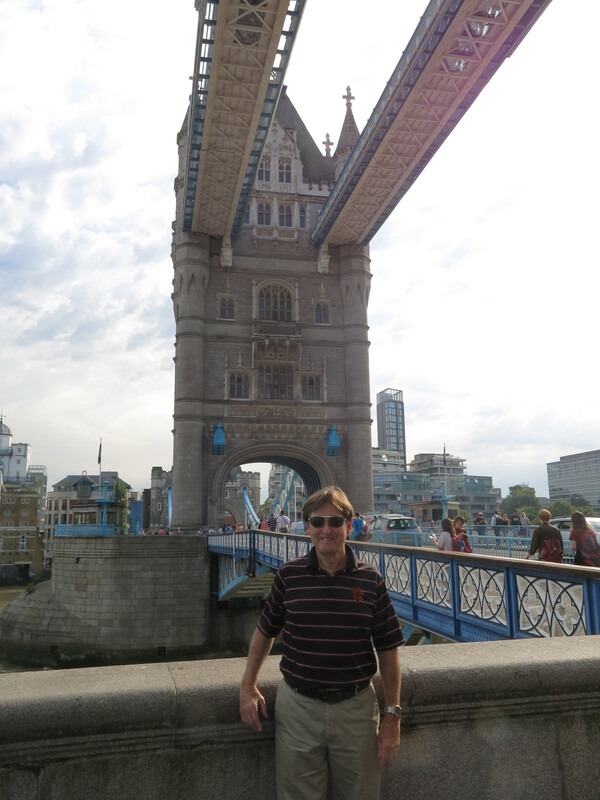 But here is a photo of Mick Orton of The Silvers on the Tower Bridge. The second photo shows the bridge from our boat ride before we got off to take the above picture. This site is not meant to be a travelogue, but I am getting some good ideas for new tunes while I am here!